Don't have enough room in your house to easily sandwich a quilt? Bring your top backing batting and supplies to CQ and we will help you sandwich that quilt in no time! Sandwiching services are offered twice a month once during the day and once during the evening. 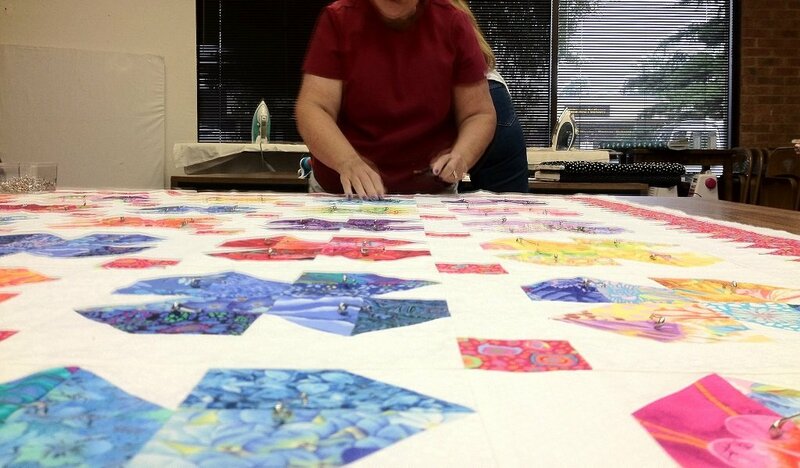 NOTE: If you are using a longarm quilter, you do NOT need to sandwich. "Emergency" appointments may be made depending on room and staff availability.